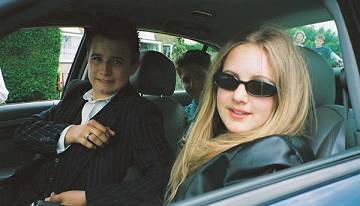 This film won a Silver Plus Award and the prize as Best Junior entry. At the very top of Essex is a quiet village called Steeple Bumpstead. 'Junipers' is the youth section of Steeple Bumpstead Players and has been running for over ten years. The group got into film-making when the leader at the time, Triss Pollington, had voice problems, couldn't direct stage performances and had the idea after listening to a feature on First Light on the radio. To enable them to make their first film Junipers TV Cocktail the group obtained funding from 'Arts in Essex' and used the services of 'Multi@rts' in Haverhill who provided the equipment and expertise to help the youngsters make a short film. The group loved the experience and was thrilled when an excerpt called Strange Mill was shown at the Co-operative Young Peoples Film Festival in Bradford. A few months later, TV Cocktail won the Peter Kittel Film Trophy in the Harrow Video and Cine Society Film Competition. The enthused group raised more funds and decided to make a feature comedy based in their village. Nearly 30 young people aged from 9 to 24 were involved in the making of Rocks. The script was written to involve as many young actors as possible. 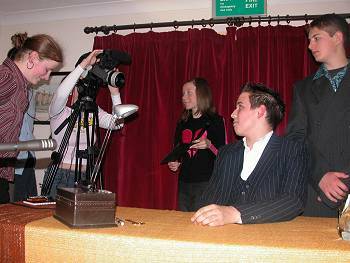 The Junipers had input at all stages of the film-making from script-writing to editing including storyboarding and filming. The project began in March 2004 and was completed in time for a premiere in the village hall a year later. The film was inspired by someone receiving a text message that was not meant for them. Thus the basic concept of the Rocks story emerged. 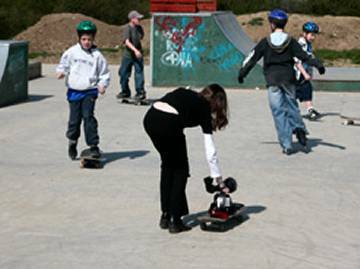 The 17 minute comedy shows the Junipers acting as gangsters, skateboarders, a netball team and police and was filmed at several locations in the village (much to the bemusement of the villagers), a local skatepark and the Haverhill police station. It featured music from local bands.During the film-making, Junipers had a lot of support from the local community - in particular Haverhill Police who allowed them to film in their station and Essex Police who lent a car and police officer for an afternoon. The filming was done over about 10 weekends which went mainly to plan. However, the session that was filmed at the Haverhill skateboard park became a write-off when the camera, which was filming while riding on a skate-board, crashed into another of the skate-boards and was damaged! This scene is included in the 'out-takes' section. The whole scene had to be filmed again when the camera had been repaired. 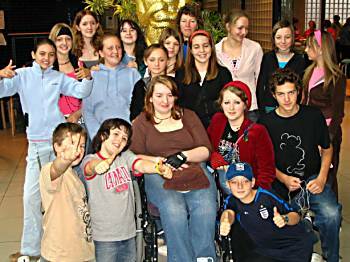 An excerpt from Rocks was shown at the Co-operative Young Peoples Film Festival in Bradford 2005 and the Junipers had a great time visiting the festival. The group would love to develop their film-making skills further and are at present trying to raise funds to enable them to buy their own camera.